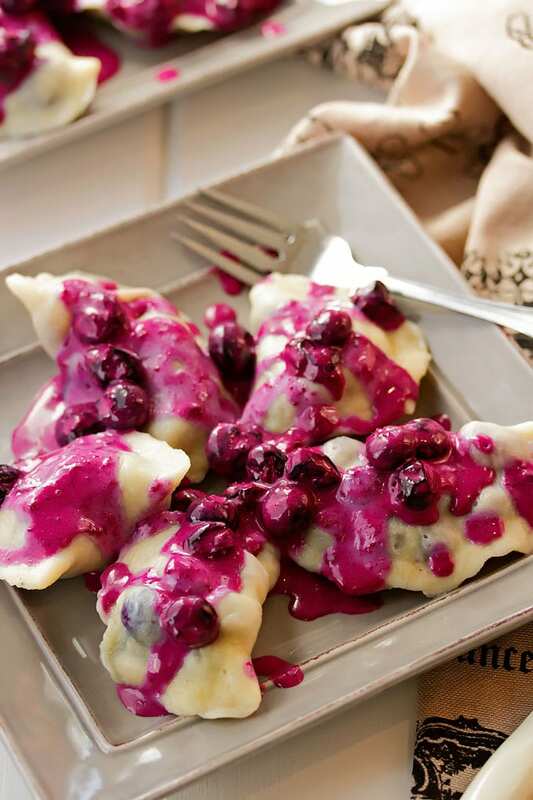 Delicious homemade blueberry perogies. Little dumplings filled with blueberries, sugar and cinnamon, lightly boiled and served with a creamy sweet blueberry sour cream sauce. 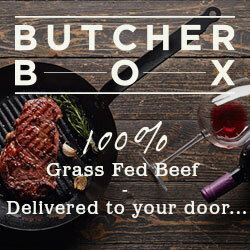 If you have never had one, its about time! Now that I have had homemade perogies, there really is no other kind! Every so often we get together at my Grandma Pat’s house and make copious amounts of homemade perogies stuffed with potatoes, cheese and onions. At one of these perogie making sessions, I was introduced to blueberry perogies. 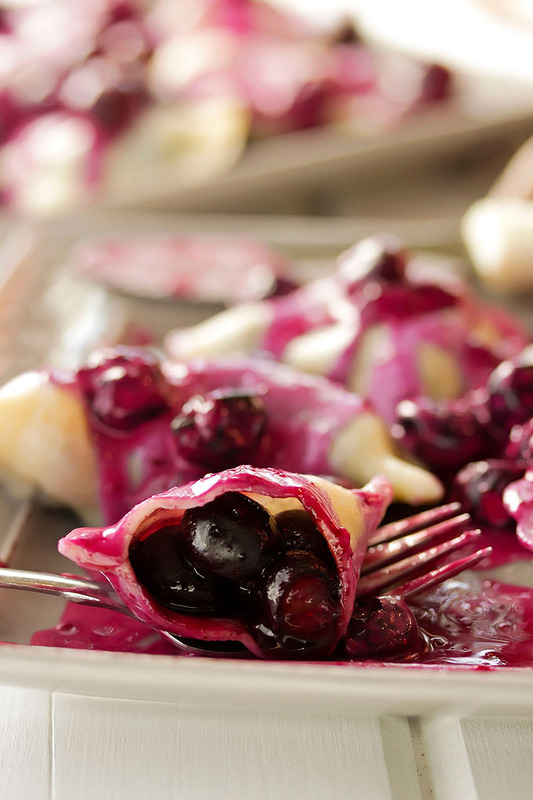 Blueberry perogies are kinda like tiny boiled blueberry pies. They are often eaten with sour cream or pan fried in butter, but this time Debbie and I made a blueberry sour cream sauce to spoon over them that I will always and forever eat them with. So freeking good! Like little bites of heaven lol. Mix up the dough in a mixer. Its just flour, eggs, salt and water. Roll it out in whatever shape it turns out to be as you roll. It doesn’t have to be perfect. Spoon the filling in, pinch it shut and you’re done. Im not going to tell you that we haven’t ever had any troubles with filling these things. You have to pinch the dough shut before any blueberry juice gets out on the edges otherwise they wont seal properly. It ALWAYS takes a few tries to get the right amount of filling in the blueberry perogies so that they are easy to seal. But after you wreck a few (which you can still just cook and eat anyways depending on the level of disaster they are…) you get the hang of it and it all of a sudden gets easy. Previously, when we made these, we thawed the blueberries first and then mixed them with cinnamon and a little sugar before stuffing spoonful’s into pockets of dough and trying to pinch them together and seal them before the filling found all the little holes that didn’t get sealed properly and started oozing out. It’s nearly impossible to fix this and they will open up when you cook them so these have to get thrown out. So annoying! This time we tried it with frozen blueberries and it worked much better. No oozing juice and much easier to seal the perogies properly. The only thing is that they don’t look as pretty because the hard blueberries kind of bulge out in some spots, but that’s a small price to pay in my opinion. You don’t care what they look like when your digging your fork into them anyways…! Perogie Press – we have never tried one of these, but they LOOK like they would make things easier. Im all for that! Perogie Maker – also haven’t tried this one, but it claims to make 6 perogies at once! AND it has great reviews. Its going on my list. 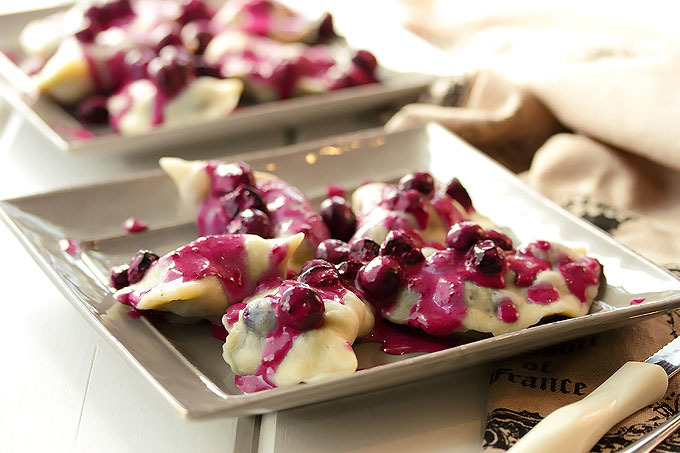 Delicious homemade blueberry perogies. 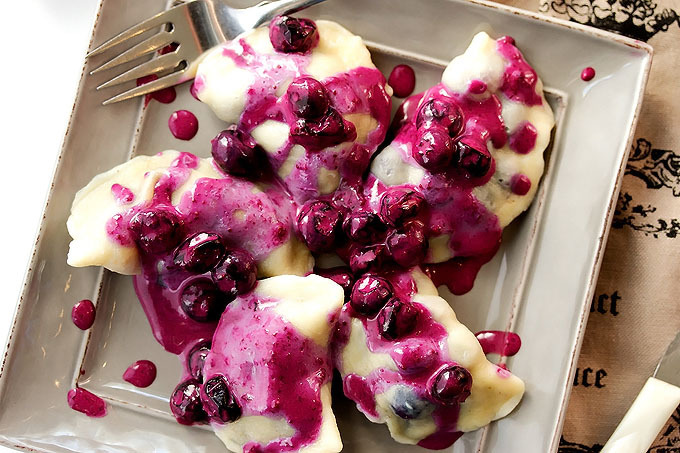 Little dumplings filled with blueberries, sugar and cinnamon, lightly boiled and served with a creamy sweet blueberry sour cream sauce. Place the blueberries, sugar and cinnamon in a bowl and mix till the blueberries are coated. Its ok if the sugar and cinnamon fall to the bottom of the bowl a bit. Just make sure to scoop some up when you fill the perogies. In a bowl, mix the thawed blueberries with the powdered sugar and the sour cream. Set aside. Cut the dough into quarters. Take one of the quarters and cover the rest. Roll out the dough on a lightly floured surface. You want it to be quite thin. Using about a 3 inch in diameter glass or round cookie cutter, cut out as many circles as you can get. Try to make them close, because the more you re-roll the dough, the tougher it gets. Take one of the dough circles and spoon a tablespoon and a bit of filling into the middle of the circle. Pull the sides around the filling to meet the other side of the dough. Pinch the sides of the dough together really well so that the edges are sealed. Continue with the rest of the dough and filling. While you fill the perogies, boil a bit pot of water on the stove. When you're ready, drop a few perogies into the boiling water and boil for about 5 mins. Pull the perogies out with a slotted spoon and place them on a plate. 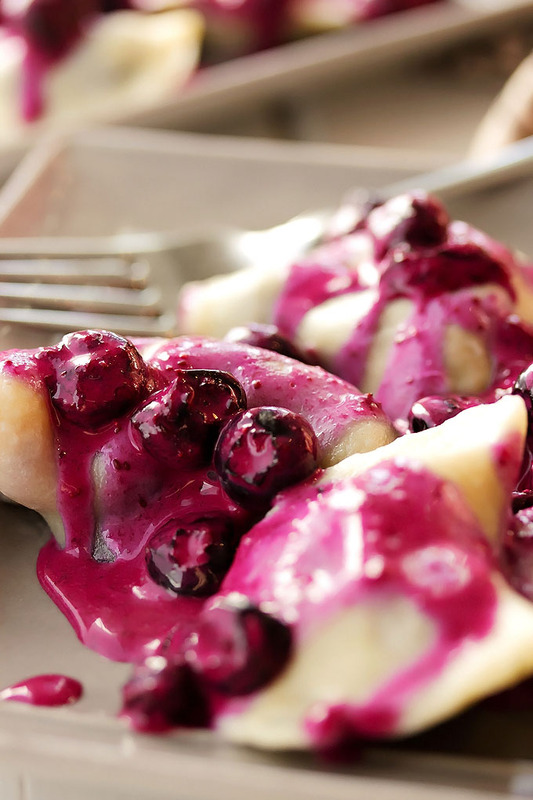 Cover with blueberry sauce and serve right away. About how many will this make? I realize it will depend on how thin you roll them, but just trying to get an idea. Thanks! Hmmmm thats a good question. Its been so long since I made them now. Im going to say about 30.